A number of chips, including SG8V1, HF RFID, ADC 24 and UHF RFID, and chip-based products were showcased at the exhibition by representatives from the Integrated Circuit Industrial Development Programme, the Integrated Circuit Design Research and Education Centre (ICDREC) and the Vietnam National University Ho Chi Minh City (VNU-HCM) from December 14-16. 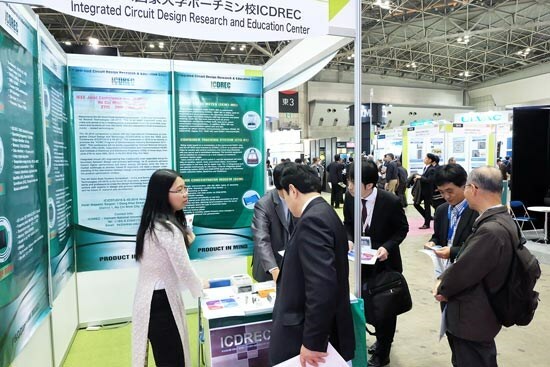 The Vietnamese team attended SEMICON Japan to learn firsthand about the country’s policies and demand for microelectronics products as part of Ho Chi Minh City’s project to design support mechanisms and policies for the development of its IC industry. SEMICON Japan provided companies and experts a platform to exchange the latest microelectronic technologies and seek partnerships, according to Dr. Dang Luong Mo, an advisor to the VNU-HCM. At the exhibition, the ICDREC made a presentation titled “Our potential, Your opportunities” on Vietnam’s support policies for the local IC industry as well as its business climate and opportunities for overseas investors in the field. The city’s team also met with a number of potential partners from Japan, such as Sony, Renesas, SocioNet, CM Engineering and Jinzai Solution Inc.
Vietnam and Ho Chi Minh City’s IC industry has set foot for the first time in the global market, Le Thai Hy, director of the municipal Department of Information and Communications and also head of the steering committee for the IC Industrial Development Programme, said. Earlier in 2015, HCM City’s Integrated Circuit Industrial Development Programme inked cooperation deals with CM Engineering Japan, CNS, Shoei and Mitsubishi.